Of course, researchers have weighed in. 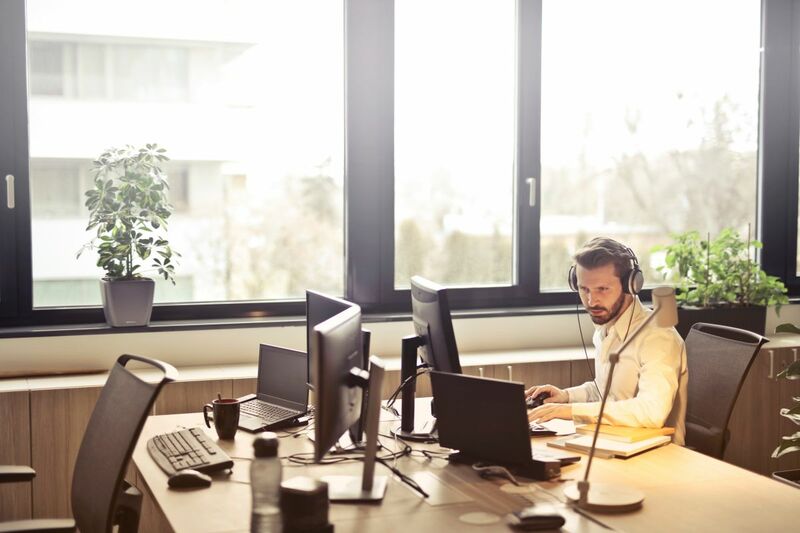 Listening to music at work can make “absorbing and remembering new information” more difficult, according to a 2012 Time Magazine article. However, research has also found that listening to music at work can make people more productive. So what’s the deal with the disparity? The connection between listening to music you like at work and an improved mood is strong, says Teresa Lesiuk, associate professor of music education and music therapy at the University of Miami, to Futurism She said that about “90 percent of the time” people have positive experiences when listening to whatever kind of music they prefer, and listening to that music often produces “mild, positive moods.” Being in that frame of mind can be helpful for getting work done. So not only can music help with productivity, it can make you more creative at work. Lesiuk said that, of course, there might be exceptions. If an artist’s music is especially dissonant or the tempo is extreme, that could create some distractions (sorry EDM lovers). But overall the improvements hold true if someone likes the music. If music is being piped into your workspace that you don’t particularly enjoy, the same effects probably won’t occur. One especially interesting thing Lesiuk has learned through her own research is that getting a significant boost in productivity from listening to music can depend on how good you are at what you’re doing. In one study, she said she found the best effects were felt by people who weren’t new to what they were doing, but also weren’t experts. Lesiuk said listening to music you like activates the pleasure center in your brain, and “a particular pathway through the limbic system up to the orbital frontal cortex, which is your thinking area, is stimulated.” The effect of this stimulation is an improvement in creative problem solving, she says. Some companies are working to take advantage of these neurological effects and create music that can maximize them. Focus@Will is an app that produces “streamlined music.” This music is specifically designed to be listen to while you’re working on something to improve mood and productivity. The company built a system that focuses on the key of the music, the tempo and more to make it as effective as possible. According to the company, it “uses the brain-shaping features of sound to keep your mind from avoiding two undesirable states: distraction and habituation.” Its music affects the previously mentioned limbic system in the brain to improve your ability to focus. There are different kinds of music to choose from so you can pick the kind that matches your tastes best. 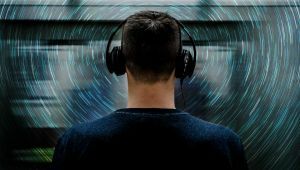 A study from last year that was published by arXiv found that streamlined music can indeed improve “perceived focus, task persistence, precognition, and creative thinking,” as well as general mood. Notably, the study also found streamlined music had no effect on “visual attention, verbal memory, logical thinking, self-efficacy, perceived stress, or self-transcendence.” So you’ll focus better and probably be more creative, which is essential for many tasks you might want to complete. If you needed an excuse to listen to music at work, you now have one. Not only is it generally enjoyable, which improves your mood, but it can actually make you do a better job. So if your boss tells you to rip the headphones out of your ears, just tell them you’re trying to be the best employee you can be. Futurism fans: To create this content, a non-editorial team worked with Focus@Will, who sponsored this post. They help us keep the lights on, and Futurism may receive a commission from sales. This post does not reflect the views or the endorsement of the Futurism.com editorial staff.